Mary Longman was born in 1964 in Fort Qu'Appelle, Saskatchewan. Of Saulteaux heritage, she is a member of the Gordon First Nation in Saskatchewan, and her Saulteaux name is Ask-Pigesiwiskwew. Longman has had an interest in art since she was six years old, growing up on Gordon First Nation, a reserve in Labret, Saskatchewan, and in Regina. Longman's childhood experiences, including being part of the infamous “Sixties Scoop” that saw thousands of Aboriginal children taken from their families and put into foster care, have been an important influence on her work. Longman studied at the Emily Carr Institute of Art and Design in Vancouver, British Columbia (1985-1989), completed a summer exchange in Art Education at the Nova Scotia College of Art and Design in Halifax (1987), attended and a year of fine art classes at Concordia University in Montreal (1990-1991). Longman went on to receive her Master of Fine Art degree from the Nova Scotia College of Art and Design in 1993, and later, her PhD in art education from the University of Victoria (2006). 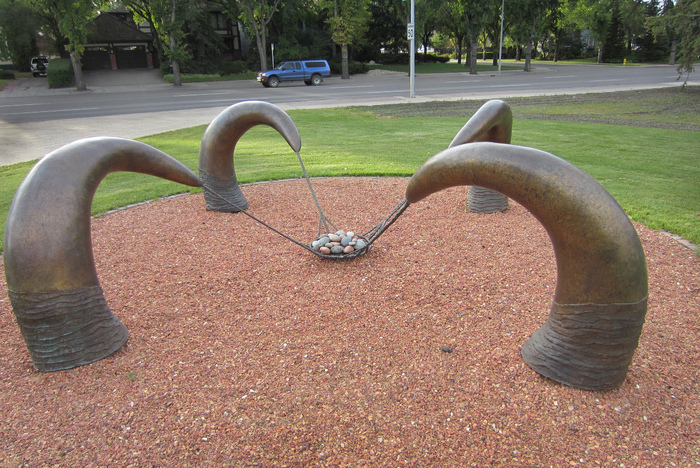 Longman has also worked as an art instructor, professor, and department head at various institutions, including the Native Education Centre in Vancouver (1989-1990), Karionninoha School in Kahnawake, Quebec (1991), Nicola Valley Institute of Technology in Merritt, B.C. (1993-1997), University of Victoria (1998, 1999-2003), Emily Carr Institute of Art & Design (1997-1999), White Mountain Academy of the Arts in Elliot Lake, Ontario (2003-2004), and the University of Saskatchewan (2007-present). Longman's sculptures, drawings, and paintings examine the exploitation of Aboriginal people and the legacy of colonialism, including the Sixties Scoop, residential schools, and the reservation system. Political, cultural, spiritual, and environmental issues are explored in works that have been exhibited across Canada and in the United States. 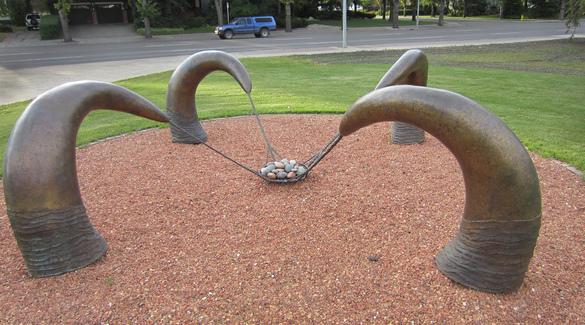 Mary Longman lives in Saskatoon, Saskatchewan, where she continues to make art and to teach at the University of Saskatchewan.